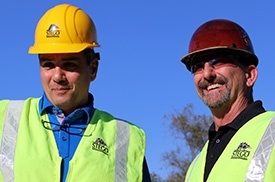 Stego is committed to providing either an in-person or digital site review on every project where Stego Industries’ products are used. In order to provide an in-person review, please provide as much advance notice as possible, and Stego reserves the right to perform digital review if circumstances warrant, or under extenuating circumstances services requiring travel may incur fees related to expenses and/or time. 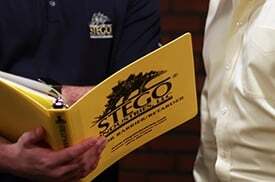 Stego does not employ design or inspection professionals but does maintain a thorough understanding of the installation techniques required by ASTM E1643, Stego’s installation instructions, and other similar standards. 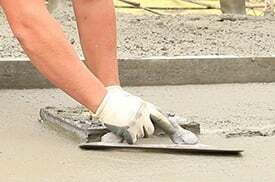 Stego’s Installation Support program reviews representative portions of the project footprint that have been prepared for concrete placement for the purpose of advising on whether that section complies with the installation recommendations; Stego cannot and does not provide full-site inspections. Please also refer to Stego’s Installation Instructions.